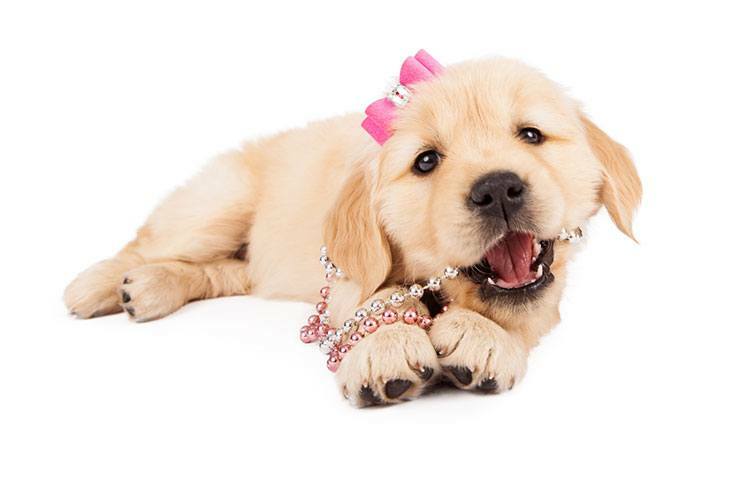 What Do You Need to Take Care of Your Puppy? ​Can You Take a Puppy Home at Six Weeks? You should get a variety of toys. One must-buy is a ball of some kind. Optional: stair gate or similar barrier. Optional: Dog crate that is large enough for the dog to walk in, stand in and lay down in. Once you have gotten everything you need, you are almost ready to bring the new addition home. But before you do, read our steps for looking after him or her. The first thing you should probably get sorted is feeding your puppy. This will change throughout each stage of your pup's development. They should be able to eat solid food by this stage. Ask the breeder whether they were feeding them dry or wet food. But just in case you can’t ask them you can start off with soft food and slowly incorporate dry food like kibble. Never switch food quickly but instead do it gradually to avoid digestive issues like diarrhea. You need to keep in mind that puppies can’t eat huge portions. So you need to split their food into smaller meals. Try to feed them four times a day. Watch while they eat to make sure they are managing. An example of a feeding schedule is to feed your puppy at 07:00, 11:00, 15:00 and 20:00. Another thing that you should get right from day one is providing them with fresh water. There should always be a bowl available for them. This is a vital part of keeping them healthy and hydrated. Keep an eye on the bowl throughout the day. Some puppies tend to drool in their water. Or food from their mouths can end up in there. Change the water whenever this happens. You should preferably complete this step before you bring your puppy home. It’s crucial that you make your home safe for a puppy. To do this, you have to look at your house through a puppies eyes. Any openings in your fence that they can fit through. Store any chemicals out of reach. Cover and protect any cords and cables. Watch out for any poisonous plants. It is recommended that you take your new dog to a vet as soon as possible. Find a local vet that is experienced and has a good record. Your veterinarian needs to do a complete health check to make sure that they are in tip-top shape. Six weeks is a critical stage in the health of your puppy. This is when they should get their first vaccinations. You can discuss their inoculation schedule with the vet and also neutering and any other necessary procedures. They can also advise you about your pet’s diet and behavior. It’s essential that you take your pet for a checkup and vaccinations before they meet any other pets or animals. Unfortunately, most puppies won’t arrive at your house already potty trained. You want to nip any potential bad habits in the bud. It is your job to teach a puppy where they should eliminate. Take your dog outside after each meal and tell them to do their business. Choose one command to signal this like “go pee.” Reward them for doing it correctly. Focus on positive reinforcement. If the puppy has an accident just clean it up properly and try to take it out more often. Grooming is one of those things that you should get a pet used to from young. It might be a bit unusual for them at first, so you need to help them build positive associations. Try to groom them once a week. First only brush along the dog's back and slowly move to other areas. Reward them for treats and cuddles for sitting still. Start with short periods like a few minutes and increase the time. The same counts for clipping their nails. Begin by cutting a few at a time and reward them every time. Give them a bath as well and follow the same principles. This can help to get rid of any ticks and fleas that they might have when they arrive. Play! This is one of the funniest and cutest parts of owning a puppy. It is just adorable to see them learning to play and run around. From a Pit Bull to a Chihuahua, puppies have tonnes of energy. Playing is a crucial part of their development. They need stimulation and exercise. Playing is an ideal way of bonding with your puppy. Through this, you will really get to know each other. First off, you need to remember that much about your puppies temperament and behavior will depend on their breed. This is true for their energy levels and exercise needs. The size of the dog matters as well. Larger animals have much more energy to burn. Unfortunately, there aren’t any hard and fast rules to follow. The only thing you can really do is to get to know your new pet and learn from them. Through their behavior, you will eventually learn how much exercise they need. Puppies will try to play until they are tired out. Behavior such as excessive chewing, barking, and whining might be signs that they need exercise. Playing is a great way to keep them busy particularly games that involve running. Taking them for walks on a leash is also a good activity for them. If you are unsure whether anything about your puppy is abnormal, take them to the vet for some guidance. A crucial part of raising any pet is socialization. Dogs need to learn about getting along with other people and animals. You need to help them to build positive associations with them. Six weeks is still a bit early, but it should be fine if you start slowly. You need to gradually introduce them to ay pets or children who are part of the household. Give them rewards for positive interactions and always supervise them at the beginning. When you are introducing your new puppy to your other dogs, safety needs to be your primary concern. One way to ensure this is to put both the puppy and the other dog on a leash. Then to take them both into the same room while restraining them both. Try to keep them both reassured. Reward calm behavior and interactions with treats. Do this for a few minutes in the beginning and gradually increase the time. You can do this several times a day. Another option is to keep the dogs in separate rooms. Put up a safety gate in the doorway and allow them to see each other through this several times a day. In the beginning, it is advised to keep them on leashes to prevent lunging. To help the process along you can feed each of them on their own sides of this barrier. People often take puppies home when they are more or less six weeks old. They are already weaned by then and are much stronger. So people assume that they can handle the separation at that stage. Many canine experts and veterinarians recommend that the ideal time to take them away from their mom is seven to twelve weeks old. For example, the American Kennel Club also cites this age. At this puppies are in a vital stage of their development. It is when they are in their ideal human socialization period. It is their second primary socialization stage. This means that dogs of this age learn how to communicate and interact with people and pets. They are usually ready by then to bond with their new owners. On top of this, their brains no closely resemble that of adult dogs. However, this doesn’t necessarily mean that a puppy can’t be adopted before this. Most dogs should be physically strong enough by this age. They would have already gone through their first socialization period which is all about learning from other canines. So you can take them home at six weeks. If you do take some extra precautions. Make sure you keep an eye on them and spend time helping them adapt to their new environment. Just note that this might not be suitable for all puppies. If a puppy is insecure, it can benefit from learning more from its mother and litter-mates. Studies have shown that physically weaker dogs can show improved health and weight gain if they are left with their mom for longer. A vital part of the health and growth of any puppy is sleep. Pups need tonnes of rest to support their development. 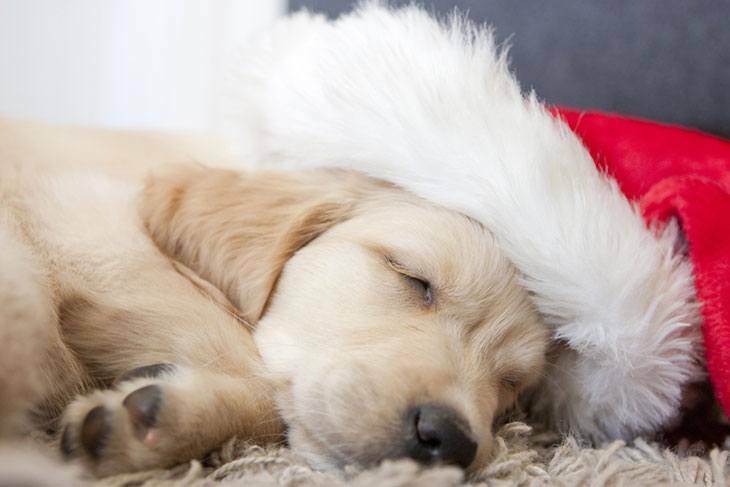 Newbie owners are typically surprised at how much time their pet spends sleeping. Well, even adult dogs can sleep 12 to 14 hours a day. Puppies need even more than them. They can spend up to 20 hours a day dosing. So don’t stress too much if they nap most of the day. However, a dramatic increase in the amount that they sleep it could be cause for concern. Lethargy is often a sign of illness. It's essential that you allow your pet to rest when they need it. One possible challenge of raising a puppy is to guide them to adapt to your routine. This extends to your pet's sleep schedule as well. An expert tip is to create set habits around bedtime. Preferably you want them to go to sleep as you do. Make sure they are fed, have exercised, have gone to go potty before you try to get them to settle down. You need to buy a food that has been specially made for puppies of this age group. These products are made with the right balance of nutrients to help them grow. This means you should change their diet as they grow. The nutritional requirements for your pup depend on their breed, age, and size. A calorie calculator can assist you in working out your pet’s exact needs. As a general guide, a ten-pound puppy should eat 990 calories a day. 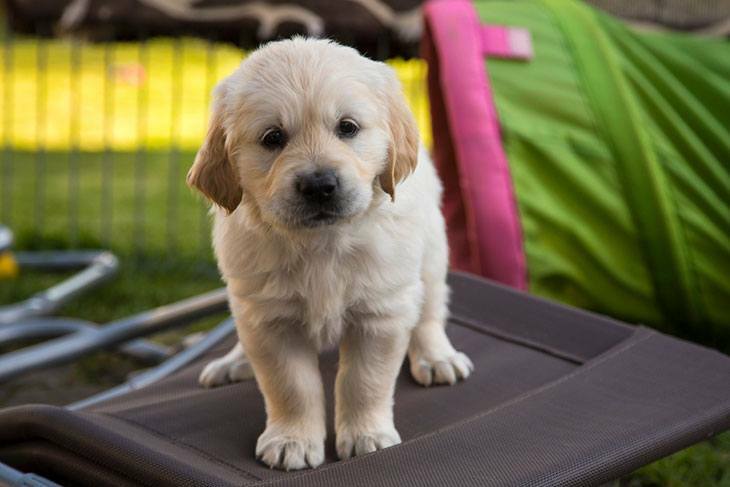 You can use these guidelines to work out what a lighter or heavier puppy needs. Besides this, a twelve-pound pup’s daily recommended allowance of protein is 56 grams, and fats are 21 gram. 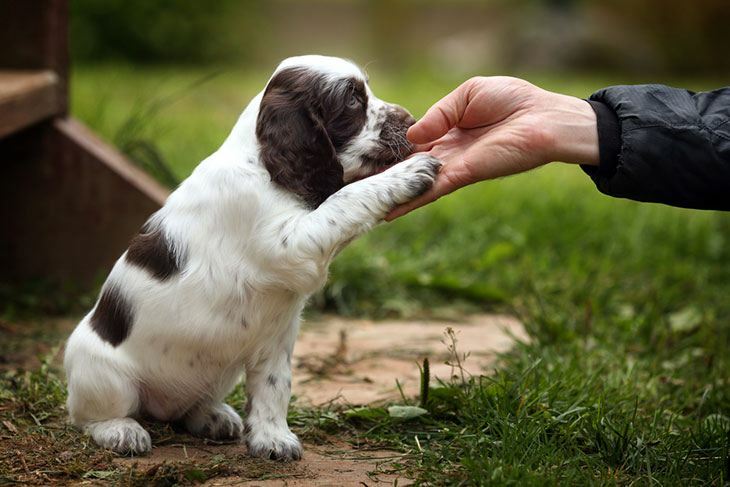 When it comes to training your pup, positive reinforcement is the way to go. It is all about rewarding your dog for the things that they get right. You can do this by giving them delicious treats and by praising and petting them. Training doesn't only make life with a pet more harmonious, you can make it part of bonding with your dog. 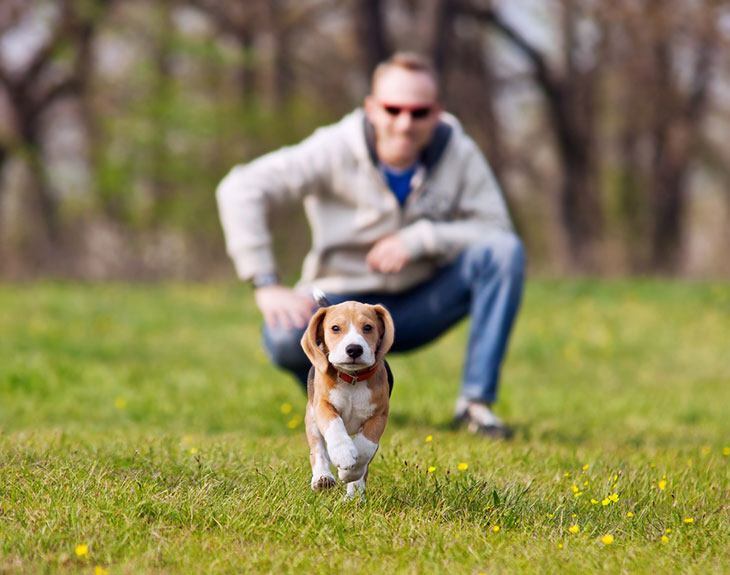 Train your dog to come when you call their name. Get them used to walks on a leash. Teach them the commands to sit, stay and lie down. Puppy training class can be a brilliant way to get this ball rolling. It will be ideal if you manage to not leave them alone for the first week or so. Many recommended that puppies not be left alone until they are one year old. However, this isn’t always possible. Set up the crate in a safe and quiet corner in your house. Put it in a room that they are familiar with. Create a pleasant environment in the crate. Place a soft and cuddly blanket in there as well as some toys. 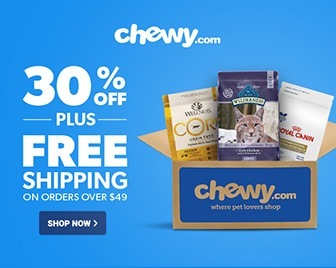 Entice your pet to go into the crate with some treats or food. You can even feed them in there several times. Reward them for lying down or sitting in it. When they are comfortable being in the crate with an open door begin to close the door for a couple of minutes and increase the time. Stay in the room at first. After several attempts at this leave the room while you do this. Optional step: If you want to you can train your pup to sleep in there. This will help your fur-kid to get used to the crate. If you don’t train them well, it increases the chance of them developing separation anxiety. No matter what you do, you need to start by leaving them alone for a few minutes at first and eventually increasing the time. Consider getting a pet sitter or dog walker if you will be away for several hours at a time. 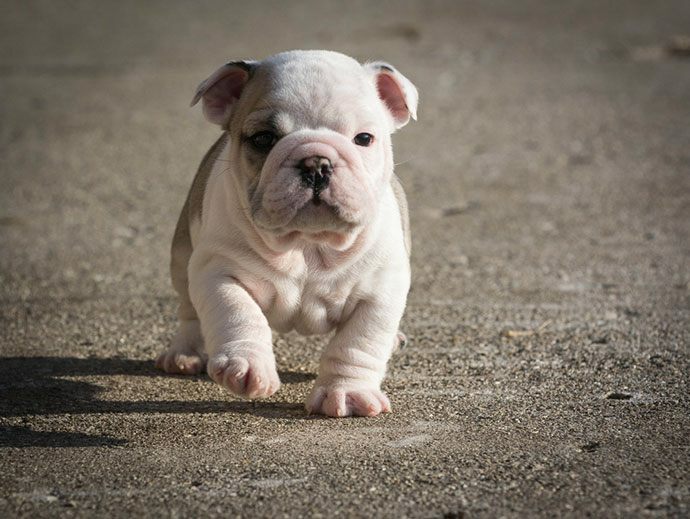 Hopefully, these steps will help to get you on track to take care of 6 week old puppy. Your pet will be an essential member of your family for many years to come. It is vital that you build your relationship on a firm foundation. There is a lot to do. But caring for a pet can be extremely rewarding. What have you learned about taking care of a six-week old puppy? Tell us in the comments and don’t forget to share the article with your fellow pet owners.